Joseph Roscoe McCord, 90, died Monday, Dec. 3, 1984, at Golden Triangle Medical Center, in Columbus, following a lengthy illness. He resided in Vardaman, where he was a retired merchant and farmer. He was a member of the Vardaman Baptist Church, which he had served for many years as a deacon and for over 50 years as teacher of the Men's Sunday School Class, which is named for him. Not only had he been active in religious work, but he had touched the lives of many Calhoun Countians in almost every area. He was a past Master of the Vardaman Masonic Lodge and past Worthy Patron of the Vardaman Eastern Star. Mr. McCord had served as a trustee of the Vardaman School and on the Calhoun County School Board. He was a former member of the County Welfare Board, the County Rationing Board during World WAr II, a member of the TVA Board of Directors, and was the last surviving member of the original Board of Directors of the Natchez Trace Electric Power Association. He was a former trustee of Houston Hospital. Born Jan 12, 1894 in Slate Spring, he was the son of Joseph Thomas McCord and Ida Burson McCord, both natives of South Calhoun County. He leaves his wife, Mrs. Lillian Stevenson McCord of Vardaman: one daughter, Mrs. E.P. (Marianne) Conner of Columbus, one brother, W.M. McCord of Memphis, Tenn., and one grandson, Joe Conner of Columbus and two great grandchildren. Funeral services were held Wednesday, Dec. 5, at 2:30 p.m. at the Vardaman Baptist Church. Rev. Lowell Johnson officiated. Burial was in Hillcrest Cemetery in Vardaman. Pallbearers wee deacons of the church. Antony-Parker Funeral Home was in charge of arrangements. Odie B. Byars, 76, of Vardaman, died Sunday, Oct. 9, 1983, at Houston Community Hospital. He was a retired grocery merchant in Vardaman and a member of the Vardaman United Methodist Church. Born Feb.28, 1907 in Calhoun County, he was the son of Edgar White Byars and Mallie Long Byars. His wife, Mrs. Grace Byars, died Feb. 27, 1980. He leaves a son, Reuben Byars of Vardaman; his stepmother, Mrs. Pearl Byars of Batesville; four grandchildren and four great grandchildren. Funeral services were held Monday afternoon at Vardaman United Methodist Church. Rev. Bill Mills officiated assisted by Rev. Grady Hutson. Burial was in Hillcrest Cemetery in Vardaman. Pallbearers were James Robert Duncan, Jimmy Barnett, Buck Skinner, Billy Wooten, Lloyd Smith, and Charles Penick. Hazel Bailey Morgan, 89, died Tuesday, Aug. 4, 1987 at her home in Vardaman where she had lived most of her life. She was a merchant for 59 years and a member of Bailey Memorial Methodist Church, Loyd, since 1928. She was the widow of Oscar L. Morgan. Born Jan. 19, 1898 in Calhoun County, She was the daughter of Lewis Marshall Bailey and Ida Lee Free Bailey. She leaves one sister, Mrs. Sunshine Bailey of Vardaman;and one brother, Raymond Bailey of Derma. Funeral services will be held Thursday afternoon, Aug. 6 at 2:00 p.m. at Bailey Memorial Methodist Church. Rev. E.A. Bailey will officiate, assisted by Rev. Robert Boyer. Burial will be in Loyd Cemetery. Pallbearers will be Lewis Bailey, Perry Bailey, Joe Van Anglin, Roy James, Tom Bailey, and J.R. Bailey. Parker Memorial Funeral Home is in charge of arrangements. Mr. Daniel D. Blue , 86, died at Vardaman Hospital on Friday Feb. 10, 1967. He had been in poor health for several months and had been in the hospital for about seven weeks prior to his death. Mr. Blue was a retired merchant, having started one of the first stores in Vardaman, He and his wife, Mrs. Cleve May Blue, had lived in Vardaman for 62 years, all of their married life, and were among the first settlers in the town. He was born in Ellzey community, near Vardaman on July 17, 1880, the son of Malcolm Graham Blue and Sara Frances Dowdy Blue. Mr. Blue was active in all of the affairs of the community and county until his health failed. He served on numerous committees and boards and worked untiringly for better schools, improved roads, better living conditions and a better county. His friends said of him that he was ever loyal and true as a friend, faithful as a family man and sincere in all of this dealings. He was a man of great moral and physical stamina, rarely complaining, always cheerful and interested in his fellow man. Mr Blue was a god man, dependable, honest and forthright. Besides his wife, he leaves a daughter, Mrs. Frances Cox of Vardaman; eight sons, Earl Blue, Wilson "Bill" Blue, Daniel Blue, and Paul Blue, all of Vardaman, Rex Blue of Grenada, Russell Blue of Tupelo, Gene Blue of Jackson, Ga., and John D. Blue of Lake Providence, La. ; three sisters, Mrs. Ott Chandler and Mrs Alma Hiller both of Calhoun City and Mrs Docia Winter of Oxford; 15 grandchildren; and 22 great grandchildren. Funeral services were held at Vardaman Baptist Church on Saturday afternoon. Rev. Curtis James Officiated, assisted by Rev. Ben Goodwin. Interment was in Hillcrest cemetery in Vardaman under the direction of Antony Funeral Home. Pallbearers were his grandsons. Mrs. Clevie Mae Richards Blue, 90, died Wednesday, Sept. 10, 1975, at Hillcrest Hospital in Calhoun City. She had resided at Vardaman most of her life, moving there from Ellzey at the time Vardaman was organized. She was the widow of Daniel Durrell Blue, a pioneer merchant in Vardaman. She was a member of the Vardaman Baptist Church. Born March 12, 1885 in Calhoun County, she was the daughter of J.D. and Sara Winters Richards. She leaves one daughter, Mrs. Frances Cox of Vardaman; seven sons, Earl Blue, Bill Blue, Paul Blue, and Dan Blue, all of Vardaman; Russell Blue of Tupelo, Gene Blue of Jackson, Ga., and John D. Blue of Monroe, La. ; 15 grandchildren and 38 great grandchildren. Funeral services were held Friday afternoon at Vardaman Baptist Church. Rev. James Shumate officiated, assisted by Rev. Ben Goodwin. Interment was in Hillcrest Cemetery in Vardaman, under the direction of Antony Funeral Home. Pallbearers were Billy Paul Spencer, Bobby Hollingsworth, Tommy Gray, Bobby Hannaford, Nelson Ramsey, Jimmy Blue and Pete Young. Mr. Rex Robert Blue, 66, of Grenada died Saturday, Nov. 9, 1974 at the Baptist Hospital in Memphis, Tenn. He was a native of Calhoun County and a retired soil conservationist. He leaves his wife, Mrs. Skelton Blue; two daughters, Mrs. Tommy Gray of Tupelo and Mrs. Edward Neal of Memphis; two sons, Jerry Blue of Charlotte, N.C.; a grandson, Jerry Blue, Jr. of Grenada; his mother, Mrs. Cleave Mae Richards Blue of Vardaman; seven brothers, Earl Blue, Bill Blue, Dan Blue and Paul Blue, all of Vardaman, Russell Blue of Tupelo, John D. Blue of Monroe, La. and Gene Blue of Jackson, Ga.; and one sister Mrs. J.D. Cox of Vardaman. Funeral services were held Tuesday morning at First Baptist Church in Grenada . Burial was in Woodlawn Cemetery there. Mr. Russell "Blue" Blue, 71, died Wednesday morning March 21, 1984, at the Belle Vista Unit of North Mississippi Medical Center in Tupelo, after a short illness. He was a native of Vardaman, a resident of Tupelo, a retired shipping clerk for Hardin's Bakery, and a member of the Wesley United Methodist Church. He leaves his wife, Mrs. Grace Trotter Blue of Tupelo; a son, Jimmy Blue of Tupelo; a sister, Mrs. Frances Cox of Vardaman; six Brothers, Earl Blue, Paul Blue, Dan Blue and Bill Blue, all of Vardaman, John D. Blue of Jackson and Gene Blue of Jackson, Ga.; and three grandchildren. Funeral services were held Thursday afernoon, March 22 at the funeral Chapel of W.E. Pegues in Tupelo, with Rev Johnny Dinas and Rev. James Grisham officiating. Burial was in Tupelo Memorial Park. Pallbearers were Elvis Christian, Huell Vandiver, Brooks Billingsley, Aubrey Shirley, Walter Marshall and Jimmy Grisham. Honorary pallbearers were employees of Hardins's Bakery. Earl Richard Blue died Sept. 7, 1996. 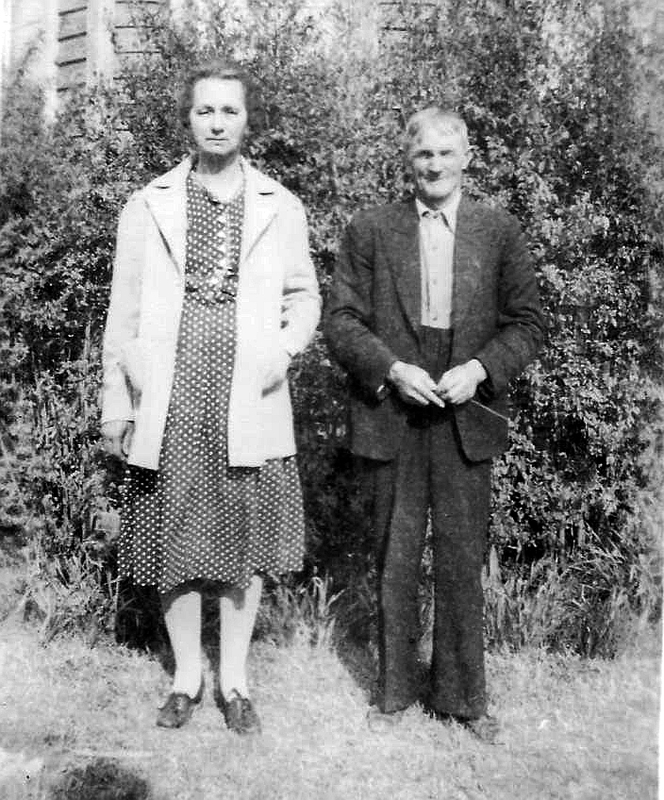 He was born Feb. 1, 1905, in Vardaman, the son of Daniel Durrell Blue and Cleveland Mae Richards Blue. He was predeceased by his wife, Mrs. Lorene Martin Blue. Burial was in the Hillcrest Cemetery, Vardaman, MS.
Mrs. Lorene Martin Blue, 82, died of natural causes on Saturday, June 27, 1992, at North Mississippi Medical Center, Tupelo. A homemaker, she was the wife of Earl Richard Blue of Vardaman, who survives her. She was a member of Midway Baptist Church. Born Jan. 23, 1910 in Mississippi, she was the daughter of Ira Henderson Martin and Allie Mooneyham Martin. In addition to her husband, she leaves three daughters, Mrs. Doris Smith of Danville, Va., Mrs. Jean Moore of Zanesville, Oh., Mrs. Ann Hannaford of Cleveland; one sister, Mrs. Audrey Blue of Vardaman; 10 grandchildren; and six great-grandchildren. Funeral services were held Monday afternoon, June 29 at Parker Memorial Funeral Home Chapel, Vardaman. Rev. Bryan Scarbrough officiated, assisted by Rev. Billy McCord. Burial was in Hillcrest Cemetery, Vardaman, Pallbearers were Greg Erlinbach, Doug Jones, Roger Dunlap, Thomas Blue, Rory Smith, Mike Moore, Fred Fisher, James Martin, and David Blue. ----------------------------------------------------------------- John Dee Blue, Sr.
SHREVEPORT, LA - John Dee Blue, Sr. age 75, died Sunday February 25, 1996 after a short illness. Funeral services were held Tuesday, February 27 at Houston Funeral Home Chapel. Burial was in Chickasaw Memorial Gardens, Houston. Rose-Neath Funeral Home Marshall Street Chapel was in charge of arrangement with Houston Funeral Home in charge of local arrangements. He was born in Vardaman, the son of Daniel Durrell Blue and Cleveland Mae Richards Blue, on Apr. 8, 1921. He was a retired assistant vice president for Federal Land Bank of New Orleans. He was a graduate of Mississippi State University where he received his Master's degree and also played football. He taught for a few years in Mississippi public school and coached football in high school. He was a member of the Rotary Club and the Masonic Lodge and was a Veteran of World War II. Survivors include his wife, June M. Blue of Shreveport, LA; two sons, John D. Blue, Jr. and Jeff Blue, both of Monroe LA; three stepdaughters, Frances Dove and Monica Rachal, both of Shreveport, LA and Cecilia Rhodes of Bossier City, LA; one sister, Frances Cox of Vardaman; four brothers, Earl Blue, Dan Blue, Bill Blue and Paul Blue, all of Vardaman; two grandchildren, Jeffery D. Blue and Valery Blue, both of Monroe, LA; and two step-grandchildren, Jason Darnell and Christy Darnell, both of Bossier City, LA. Paul Raymond Blue, 75, of Vardaman, died Thursday, Dec. 17, 1998, at North Mississippi Medical Center in Tupelo. He was born Dec. 3, 1923, the son of Daniel D. Blue and Cleveland Richard Blue. He was a member of Vardaman First Baptist Church, Community Board of Ddirectors of Bank of Mississippi, Vardaman, and American Legion, WWII Army Veteran. He was the owner of Paul Blue Produce Packing Co. in Vardaman. Funeral service was Sunday at 2 p.m. at Vardaman First Baptist Church with Rev. Dale Easley and Rev. Jeff Gilder officiating. Burial was in Hillcrest Cemetery in Vardaman with Parker Memorial Funeral Home in Charge of arrangements. Pallbearers were Damon Nelson, Kenny Dismuke, Jan Hill, Leslie Huffman, Keith Spencer, Clay Spencer, Bobby Hollingsworth; honorary pallbearers were Howard Morgan, Durell Landreth, Jimmy Ellis, E.D. Harrell, Wayne Johnson, D.R. Alexander, David Ward, Paul Cook, Tom Bailey and Bob Hannaford. Survivors include his wife, Virginia Hill Blue, Vardaman; one daughter, Paulette Blue Nelson, Vardaman; one sister Frances Cox; two brothers, Dan Blue and Bill Blue, all of Vardaman. Three grandchildren, Debbie Nelson Gibson, Brandon; Fandacie Nelson and Damon Nelson, Vardaman; five great grandchildren: Savannah, Derek, Kelsey, and Caitlin Nelson,and Paul Brennon Gibson. Wilson "Bill" Blue was born June 18, 1916, to Daniel D. and Clevie Richards Blue in Vardaman. He died at his home on Aug. 18, 2011, surrounded by his family. He was a faithful member of Vardaman First Baptist Church until his failing health prevented him from attending. He served as Supervisor of District 5 for Calhoun County for 32 years. He also had trucking, saw milling and timber interests. He served on the Boards of Directors for Bancorpsouth and Natchez Trace Electric Power Assn. He had recently received his pin for 65 years as a Master Mason. He was never happier than when his children and grandchildren were gathered in his home or when he was working in his garden. He was known for his love of gardening and for sharing his bounty. He is survived by his daughters, Pat (Bob) Hollingsworth and Linda K. Spencer of Vardaman; his grandchildren, Patti (Mike) Ramage of Walthall, Mark Hollingsworth of Bowling Green, Ky., Candy (Leslie) Huffman of Vardaman and Clay (Rachel) Spencer of Brandon; his great-grandchildren, Ashley Ramage of Brandon, Kyle (Claire) of Wake Forest, N.C., Blakely (Daniel and Charli Grace) Denton of Calhoun City, Sydney Huffman of Vardaman, and one sister-in-law, Sue Blue of Jackson, Ga. He was preceded in death by his wife, Yvalette Bailey Blue; his sister, Frances Cox; and seven brothers, Earl, Russ, failing health prevented him from attending, Rex, Dan, John D., Gene and Paul. Memorials can be made to Vardaman First Baptist Building Fund, P.O. Box 173, Vardaman, MS, The Vardaman Cemetery Committee, or the charity of your choice. Pallbearers will be Danny Blue, Jimmy Blue, Daniel Denton, Mark Hollingsworth, Leslie Huffman, Damon Nelson, Kyle Ramage and Clay Spencer. Honorary pallbearers will be Bobby Hannaford, Robert Earl McGregor, James and Frances Simmons, Robert Hannaford, Sheldon Williams, Ben Landreth and Jim Fred Hamilton. Daniel Brooks Blue, 89, died Monday, Sept. 29, 2003, at the Calhoun Health Services Nursing Home in Calhoun City. He was born May 15, 1914, to Daniel Durrell Blue and Cleve Mae Richards Blue. He was a retired lumberman. He was a medic with the rank of T-5 in the U.S. Army during World War II. Services will be at 2 p.m. Wednesday, October 1, 2003 at Parker Memorial Funeral Home Chapel in Vardaman with the Rev. Dale Easley and the Rev. Mike Ramage officiating. Burial will be in Hillcrest Cemetery in Vardaman. Survivors include a brother, Bill Blue of Vardaman; a sister, Frances Cox of Vardaman; and a host of nieces and nephews. Pallbeares will be Damon Nelson, Bobby Hannaford, Clay Spencer, Les Huffman, Calvin Dye, Phil Carter and Danny Blue. Burial: Hillcrest Cemetery, Vardaman, MS. Daughter of Daniel Durrell and Cleve Mae Richards Blue, widow of Jeff D. Cox and sister of Earl, Rex, Russ, Dan, Gene, John D., Paul, and Bill, all deceased. Mr. Jeff D. Cox, 63, died Saturday, Nov. 15, 1975, at the Tallahatchie General Hospital. He was a retired carpenter and resided at Vardaman. He was a Baptist and a Mason. Born Oct. 10, 1912 in Tallahatchie Cunty he was the son of Erma Austin Cox and Bina McCord Cox. He leaves his wife, Mrs. Frances Blue Cox of Vardaman; his mother, Mrs. Bina McCord Cox of Vardaman; and one brother, Leslie Cox of Goosebay, Oregon. Funeral services were held Monday afternoon at Vardaman Baptist Church. Rev. James Shumate officiated. Burial was in Hillcrest Cemetery at Vardaman, under the direction of Antony Funeral Home. Pallbearers were Nelson Ramsey, Grady Morgan, Billy Paul Spencer, John Jasper Adams, Larry Nelson and Van Johnson. Mr. Ezekiel Allen (Zeke) Enochs, 94, died Friday morning, Oct. 3, 1980, at Houston Community Hospital, following a lengthy illness. A native of Pittsboro, in Calhoun County, he attended school in Hot Springs, Ark., and continued his business training at Draughan's Business College. He began banking at the age of 19 and continued for 68 years until his retirement in 1974. He was associated with the banking industry for 75 years. 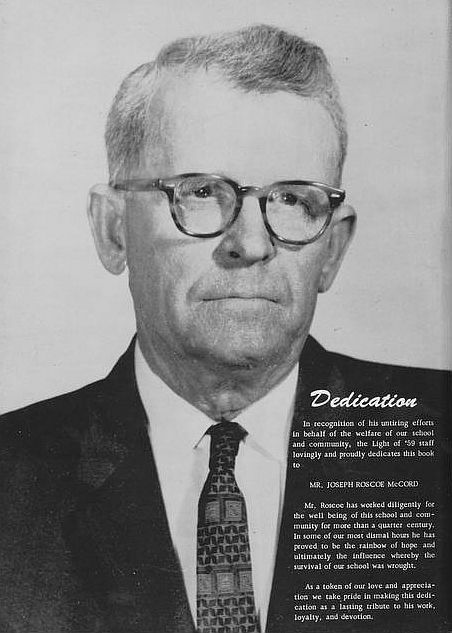 Owner of the Bank of Houston, Bank of Houlka, and Bank of Vardaman for 40 years, he merged his banks with the Bank of Mississippi in 1971, where he served as senior vice president and director and was director emeritus until his death. He was past president of the Northeast Mississippi Bankers Association. He received a 50-year Mason pin and a 50-year award from the Mississippi Bankers Association. Mr. Enochs served as chairman of the Chickasaw Development Foundation at the age of 80. A past president of the Houston Exchange Club, he received the Good Deed Award. He was the last charter member of the Vardaman Masonic Lodge No. 527 which he helped organize in 1912. He was a member of the Houston First United Methodist Church. Sunday school teaching and public speaking were among his many civic activities. He leaves two daughters: Mrs. Frances Jessup of Houston and Mrs. Polly Anderson of Pontotoc; a granddaughter, and three great granddaughters. Services were held Saturday afternoon at Houston First United Methodist Church with the Rev. Grady Bailey, Jr., and the Rev. Ben Goodwin officiating. Burial was in Houston Cemetery, Houston Funeral Home as in charge of arrangements. A two-car collision at the intersection of Highway 43 and the Natchez Trace on Dec. 27 claimed the lives of Mr. and Mrs. Edward H. Bowling of Vardaman. Services for the couple were held at the Vardaman Baptist Church on Dec. 29. Rev. L.F. Haire officiated, assisted by Rev. Curtis James. Burial was in the Midway cemetery, near Vardaman, under the direction of James E. Cook Funeral Home. Pallbearers for Mrs. Bowling were Jeff Pace, Ray Ratcliff, Carl Bonner, David Massey, Colbert Irby, and Tommy Irby. Pallbearers for Mr. Bowling were Harvey Langston, Bobby Inman, Norman Wilton Griffin, Everette O. Bryant, Bud Wiseman and Paul Campbell. Mrs. Kathryn Irby Bowling, who was 55, was a native of Scott County. She was one of Vardaman's most popular women, and was one of the town's civic and religious leaders. She held the love and admiration of all who knew her. She was a Baptist. Mr. Bowling was born in Calhoun County and had lived there his entire life. He was 55, and a member of the Baptist Church. He was a merchant and owner of much real estate and property in and around Vardaman. He was recognized as a good businessman, and was one of the outstanding men of Vardaman. Always interested in the young people, his church, and community, and county activities, he took a leading part in these affairs he considered beneficial to this fellow men. He leaves two sisters, Mrs. Bert Reese, of Bruce and Mrs. Eurice Alexander of Calhoun City. Mrs. Bowling leaves a brother Talmadge Irby of Gasken Springs; two half-brothers, Sam Irby, of Jackson, and Dwight Irby of Morton; two sisters, Mrs. Bryant Daniels of Pelahatchie, and Mrs. Lois Stanley of Canton; three half-sisters, Mrs. E.L. Coward of Lena, Mrs. Glen Stewart of Vicksburg and Mrs. Milton Scott of Winslow, Ariz.
Mr. Frank Lee Hill died suddenly Thursday morning, Nov. 14, 1968, at his home in Vardaman, where he had lived for a number of years. He was 58. Mr. Hill was the owner and operator of a restaurant in Vardaman. He was born in Neshoba County, the son of Wille E. and Mary Knowles Hill. He was a member of the Vardaman Baptist Church. Mr. Hill was a good man who took an interest in the activities of his town and school and his county. He always worked actively and supported those causes he believed in --whether it was in politics, athletics, education, or whatever. Funeral services were held on Friday afternoon at the Vardaman Baptist Church. Rev. Curtis James officiated, assisted by Rev. Ben Goodwin. Burial was in Pittsboro cemetery under the direction of Antony Funeral Home. Pallbearers were Carl Marshall, Lederie Green, Leo Vanlandingham, Robert E. McGregor, Charles F. Martin and Victor L. Bryant. Barbara Alice Sugg James, 40, died Thursday, Sept. 23, 1982 at Hillcrest Hospital in Calhoun City, following a lengthy illness. She resided on Rt. 2, Vardaman and was the wife of Reece James. She was a member of Vardaman First Baptist Church. Born July 18, 1942 in Calhoun County, she was the daughter of Henry Grady Sugg and Myrtle Shipp Sugg of Derma, both of whom survive her. She leaves her husband and parents; a daughter, Teresa James of Derma; two sons, Mike James of Houston and Doug James of Vardaman; three sisters, Margaret Walton of West Memphis, ARk., Ruth Mullins of Greenwood and Judy Massey of Memphis, Tenn.; two brothers, Charles Sugg of West Memphis and Henry K. Sugg of Vidalia, La. Funeral services were held Friday afternoon at Antony-Parker Funeral Home in Vardaman. Rev. Bane Alexander officiated, assisted by Rev. Robert Alexander. Burial was in Poplar Springs Cemetery. Pall bearers were Keith Morgan, Robert Earl McGregor, George Wayne Bradford, Ravis Winter, Wayne Fugett, Dean Holder, Larry Joe James, and Billy Free. Ruble Reece James, 48, died Monday, Dec. 3, 1984 at the Veterans Medical Center in Jackson. He resided in Vardaman and was employed with the National Guard in Houston. He was a veteran. Born July 27, 1936 in Calhoun County, he was the son of William Ruble James and Nannie Winters James. His wife, Barbara Alice James, preceded him in death. He leaves one daughter, Mrs. Teresa Clements of Vardaman; two sons, Michael James of Houston and Doug James of Calhoun City; his mother, Mrs. Nannie W. James of Houston; three sisters, Mrs. Jeanette Holder and Mrs. Laquita Martin, both of Houston, and Mrs Rita Dukes of New Orleans, La. ; and one grandchild. Funeral services were held Tuesday afternoon at Antony-Parker Funeral Home Chapel. Rev. Robert Alexander officiated. Burial was in Poplar Springs Cemetery with military honors presented by the National Guard. Pallbearers were members of the Houston national Guard. William Ruble James, 65, died at his home on Rt. 2, Vardaman, Sunday, October 22, 1972. He was a member of the Poplar Springs Baptist Church. Born Aug. 30, 1907, in Calhoun County, he was the son of Wash and Eve Morgan James. He leaves his wife, Mrs. Nannie Winter James; three daughters, Mrs. Lester Holder of St. Route, Houston, Mrs. Leon Martin of Houston, and Mrs. Jimmy Dukes of Greenwood; one son, Reece James of Vardaman; one sister, Mrs. Flora Gable of Bruce, one half-sister, Mrs. Walter Blaylock of Bruce; four brothers, Faris James, D.B. James and Bill James, all of Bruce, Trenon James and Splenton James, both of Memphis, Tenn.; nine grandchildren and three great grandchildren. Funeral services were held Oct. 24 at Poplar Springs Baptist Church. Rev. L.F. Haire officiated, assisted by Rev. James Jeffreys. Burial was in the church cemetery, under the direction of Antony Funeral Home of Bruce. Pallbearers were Dean Holder, Kenneth Holder, Kenneth Bailey, Tom Weeks, James Neal and Carlton Dover. Honorary pallbearers were C.P. Ward, Rev. Bane Alexander, Sam Hartley, Tommie L. Dye, Troy Bush, Bill Blue, Fred Weeks, J.W. Foshee, Robert Earl McGregor, Billy Bush and Caroll Ray Morgan. Grace Gregg Hawkins, 76, died Thursday, June 13, 1985 at Oxford-Lafayette County Hospital. Born Sept. 10, 1908, she was the daughter of Richman Gregg and Alma Vance Gregg. She was a member of First Baptist Church, Vardaman, and the Eastern Star. She leaves her husband, M. Doyle Hawkins of Vardaman, one daughter, Mrs. Elizabeth Sansing of Oxford; one son, Gerald Hawkins of Baton Rouge, La. ; one sister Mrs. Robbie Quillen of Oklahoma City, Okla., 6 grandchildren and 2 great-grandchildren. Funeral services were held Saturday, June 15, at First Baptist Church in Vardaman. Rev. James Richardson officiated, assisted by Rev. Dale Easley. Mr. Luther Marvin Murff, 77, died Tuesday, Oct. 11, 1977, at Hillcrest hospital in Calhoun City. He resided at Vardaman where he was a retired merchant. He was a member of the Loyd Methodist Church. Born Feb. 13, 1900 in Calhoun County, he was the son of T.B. and Mary Elizabeth Howard Murff. He leaves his wife, Mrs. Myrtle Bailey Murff of Vardaman; one daughter, Mrs. Rex Schwalenburg of Vardaman; one sister, Mrs. Ethel Ruth of Calhoun City; four grandchildren and eight great grandchildren. Funeral Services were held Oct. 12 at Loyd Methodist Church. Rev. Ben Goodwin officiated, assisted by Rev. Bobby Tickell. Interment was in Poplar Springs Cemetery. Pallbearers were J.C. Bailey, Lewis Bailey, Bill Blue, Joe Van Anglin, Fred Murff and Lee Randel Murff. Antony Funeral Home was in charge of arrangements. Mrs. Myrtle Bailey Murff, 81, died Thursday, April 23, 1981, at Houston Community Hospital. She resided at Vardaman and was the widow of Luther Marvin Murff, who died Oct. 11, 1977. She was a member of Loyd Methodist Church. Born April 15, 1900 in Calhoun County, she was the daughter of Lewis Marshall Bailey and Ida Lee Free Bailey. She leaves a daughter: Mrs. Mary Lee Schwalenberg of Vardaman; four sisters: Mrs Georgia Anglin, Mrs. Hazel Morgan and Mrs. Sunshine (Lora Lee) Bailey, all of Vardaman, and Mrs. Serena Hannaford of Derma; one brother: Raymond Bailey of Derma; four grandchildren and 11 great grandchildren. Funeral services were held Saturday afternoon at Loyd Methodist Church. Rev. Danny Estes officiated. Burial was in Poplar Springs Cemetery. Pallbearers were Billy Paul Spencer, Joe Van Anglin, Lewis Bailey, Clifton Bailey, Jr., Fred Murff and Durell Landreth. After A Long Illness--Services Sunday. It was with deep sadness that we learned of the death of Mrs. William Henry Daniels on last Saturday morning, December 5, 1953. She was born on August 22, 1895. Vardaman has truly lost one of its most prominent citizens in her death. Funeral services were held from Vardaman Baptist Church Sunday afternoon at 2:00 p.m., conducted by Rev. L.F. Haire, E.S. Furr, Rev. E. I . Johnson, Rev. J.F. Hartley and Rev. James Richardson. A number of other ministers were also present. The Cook Funeral Home had charge of arrangements, and interment followed in the Hillcrest cemetery at Vardaman, under a beautiful mound of flowers, attesting to her popularity and her wide circle of friends. Pallbearers were nephews of the deceased: Finley Evans, Charles Ferguson, Bethard McKibben, Henry Evans Vancleve, Cecil Rhodes, Dennis Evans, and Johnny Rhodes. Honorary: J.R. McCord, Dr. J.S. Edmondson, Prince Hamilton, Paul Gregg, Edward Bowling, J.R. Vanhorn, B.F. Spratlin, Howard Moseley, Ray Sanderson, C.E. Spratlin, Jewett Blue and Isom Anglin. Mrs. Daniels was a devout member of the Baptist Church of Vardaman and her sweet Christian spirit was clearly demonstrated by the patience, with which she bore her infirmity and the reception that she always gave her visitors and friends who attended her during her illness. She was a woman of fine character and intellect, and was held in highest esteem by her neighbors and friends. She was a lover of flowers and her greatest delight was in caring for the garden of beautiful flowers and shrubbery at her home and sharing them with her friends, both far and near. It was the joy of her life to arrange beautiful bouquets in her church. During her sojurn among us, Mrs. Daniels had contributed much to our town and her untimely death will leave a void that will remain unfilled. We pause in tribute to her memory, and offer our deepest sympathy to the bereaved family. Surviving are her husband, W. H. Daniels; two daughters, Mrs. Mary Spratlin of Atlanta Ga., and Mrs. Mardra Hawkins of Calhoun City; her parents, Mr. and Mrs. John Evans of Vardaman; three brothers, Jack Evans, Of Martin City, Tenn., Smith Evans of Vardaman, and Roy Evans of Okolona; and four sisters, Mrs. Alice Ferguson of Columbus, Mrs. Addie Vancleave, of Houston Texas, Mrs. Lola Rhodes of Houlka and Mrs. Corine Wilson of Vardaman. Note: the above news story was written by Mrs. Paul Gregg, the Monitor-Herald's talented correspondent at Vardaman. Mrs. Felicia Ferrell Vanhorn, 69, died Sunday afternoon, Oct. 30, 1977,at 3:00, in Hillcrest Hospital in Calhoun City. She was the wife of Mr. Willie Vanhorn and had resided at Vardaman for the past 43 years. She was a member of Vardaman First Baptist Church. Born in Calhoun County Sept. 16, 1908, she was the daughter of Walter T. and Mary Morrow Ferrell, both natives of Lafayette County. She leaves her husband Willie Vanhorn of Vardaman; one brother, Hugh Taylor Ferrell of Iuka; one sister, Mrs. Lillian Blount of Vardaman and several nieces and nephews. Funeral services were held Tuesday afternoon at Vardaman First Baptist Church. Rev. Lowell Johnson officiated, assisted by Rev. Bob Tickell. Interment was in Hillcrest Cemetery in Vardaman. Pallbearers were Robert Funderburke, Gary Penick, Derry Pumphrey, John Allen Leachman, Bill Embry, and Wayne Fugett. Mr. Harry Rudolph Smith, 50, died Monday, Oct. 11, 1976, at Houston Hospital. 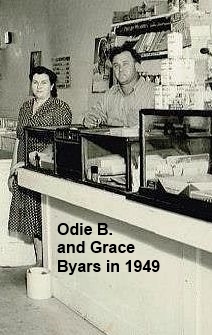 He was manager of Inmon Grocery for 16 years and resided at Vardaman. He was a Baptist and a veteran of World War II. Born Feb 9, 1926, in Calhoun Couonty, he was the son of Harry Smith and Lottie Gable Smith. He leaves his wife, Mrs. Rosie Nell Reedy Smith of Vardaman; three sons, Joseph Walter Smith, Carl Wayne Smith, and Harry Lee Smith, all of Vardaman; one sister, Mrs. Pauline Calder of Greenwood; two brothers, Dr. Herman Smith of Houston and Herbert Smith of Memphis, Tenn.
Funeral services were held Oct.12 at New Providence Baptist Church. Rev Bobby Poss officiated, assisted by Rev. J.T. Busby. Interment was in the church cemetery under the direction of Antony Funeral Home. Pallbearers wee J.W. Akins, Lee Sutherland, Robert Earl McGregor, Raymond Langford, Doyle Free and Mike Mitchell.